This week, I heard these words a fair bit- and not from guys trying to hit on me in a pub but from close mates of mine- Candy and TSG being two of them. These are people who are seeing me regularly, so coming from them, these words hold a special meaning and it’s obviously nice to be told I look pretty! And then I caught up with old colleagues and they all said I look absolutely stunning and well. – New makeup? Nothing has changed, except maybe I have become more adept at using it? – Exercising and fresh air? Potentially! – Getting snuggled, licked and loved by a dog? Definitely one of the factors! – Or, maybe ‘cos it’s 2012 and therefore, awesome? And on that note, I bid you goodnight. Sleep tight and sweet dreams, dear world! Love. Today, I feel happy, excited, slightly delirious, nervous and a mix of emotions never before. And so I urge, everyone to follow this advice, ‘cos it ROCKS! Go, up and go- somewhere you have never been- what I am feeling right now is a sense of optimism and excitement like never before- the turn in my life is just AWESOME. Told you, 2012 was gonna be awesomely special! 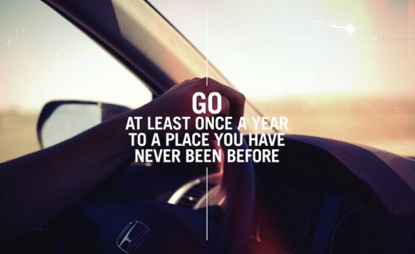 Let 2012 be the year you live! 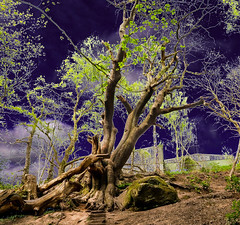 2012- the year that is going to be awesome– I have said it a few times and I still believe it. We need to live like we are going to die someday, ‘cos we are. We need to live each moment as it it’s our last. We need to make this year count as only then will it truly be AWESOME and the best so far. So, 2012 WILL be awesome. It WILL be an extraordinary year. It WILL be so much fun and so much work that one wouldn’t know what hit them. It WILL be a year of balance. It WILL be a year of success. It WILL be a year of adventures. It WILL be awesome, I repeat. A-W-E-S-O-M-E!!! Not sure if I have already used this advice previously, if I am repeating it, apologies. 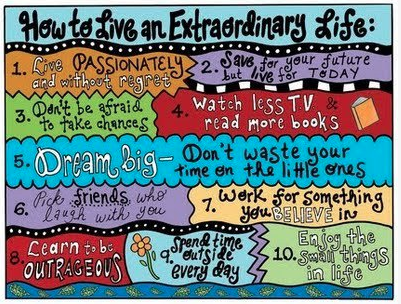 If not, here are a few ideas on how to make it an extraordinary life!